Discussion in 'Tech/Gadget News' started by Babadinho, Nov 17, 2016. Choosing a new phone can be one of the most defining decisions you’ll have to make. 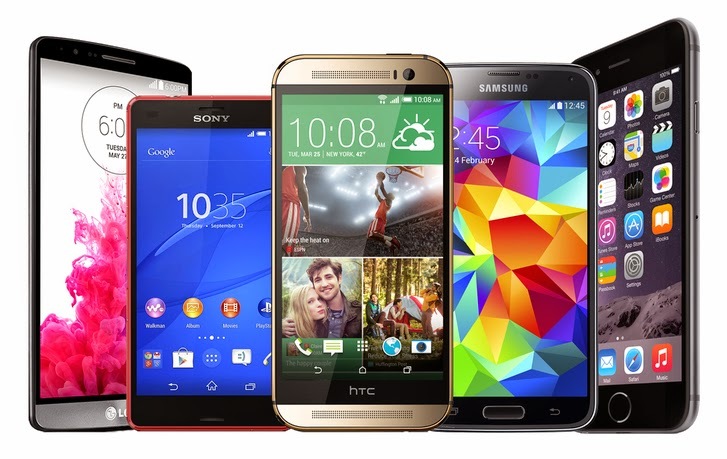 Good smartphones don’t come cheap, so you might as well get good value for your money. With the superb choices in the market, the tyranny of choice may lead you to make an obvious but uninformed choice. But fear not, having choices is also a good thing, if you’re guided with the knowledge and information to help make your choice smarter and simpler. Android: Developed by Google, android is an open source operating system that runs on the majority of new phones. Android has the most robust apps store in comparison to other operating systems called Google Play filled with Google services. The main issue with Android is that because it’s open source. Manufacturers like Samsung and HTC often modify its design and functionality, sometimes to the detriment of usability, while other manufacturers like Huawei modify to increase and improve usability. iOS: iPhone is the only phone that runs iOS and Apple intends on keeping it that way. The iPhone seems to be the benchmark for mobile technology, but as more options become available, it’s slowly no longer the standard on which all other phones are measured. If you own other Apple devices or enjoy services like ITunes, the iPhone may be a good option for you. Sadly, it doesn’t allow as much curious exploration with software as the Android does, but it has a clean and simple design. Unfortunately, unlike Huawei smartphones, for instance, which allow you download music and videos on your device at will, Apple products, much to the dismay of music lovers, prevents you from this key feature. Big screens are so in trend that carrying a small screened phone makes you seem kind of crazy and old-fashioned. Larger screens make the mobile experience so much better, but small screens don’t necessarily mean less power. The iPhone SE with a small screen of 4.4 inches combines power plus no stretchy thumbs. But if you’re looking for the best of both worlds – large screen, power, and awesome features – then the Huawei GR5 mini with the sweet spot size of 5.2 inches and with its ultra-thin and chic design to avoid stretchy thumbs is your best bet. Majority of us use our phones for three important things – calls, texts and music. Personally, the ability to download music is the most important factor in the phone selection process. For the iPhone there’s the iTunes. Although being part of the Apple community makes you feel like you’re part of a family, I think I’m going to run away from home simply because I recently found that on Android I can download music directly from the internet and straight to my phone! Not only this, you can send songs to fellow android users via Bluetooth! You can’t do this on the iPhone, even if both sharers use an iPhone. If you think of it, android seems more like a family than iOS. So why settle for an iPhone when you can go for a Huawei or an HTC? I think this should have been the first on the list, because with Instagram, Snapchat and other social media platforms, it is critical to impress your followers. Hence the need for a phone with a camera that you can actually call a camera. Basically, all top tier smartphone manufacturers have cameras from Apple to Huawei to Samsung to Windows but the question is which of them have the best camera? With a Dual lens camera, crafted in partnership with Leica; the leading camera manufacturing company, the Huawei P9 camera produces more light than both the Samsung S7 and IPhone 6s, making the Huawei P9 camera clearly superior. Plus with the monochrome and clarity camera features, all your photos and selfies will come out looking incredible! This is one feature that I regret not prioritizing when selecting my phone. If you have an iPhone you basically have something I like to call BLA – Battery Life Anxiety. It’s when you’re constantly in need of that power bank or looking for a wall socket or laptop to charge your phone. Sometimes it always seems like your phone runs out of power when you need it the most. So when you’re looking for a new phone, be sure to check the strength of the battery. Make sure you don’t go for anything less than 3000mAH. Phone manufacturers now recognize the grave importance of battery life and are squeezing greater-capacity batteries into their phones. Typical phone batteries start in the neighborhood of 700mAh and can go all the way up to 4,000mAh, like the Huawei Mate 8. While all these features are important, price always seems to be the key deciding factor to most especially young people still in school and young professionals. What we fail to understand is that the cost of a phone is not just the figure on the price tag but the value of the phone to us and how much it satisfies our mobile needs. While you could get a new iPhone 6s for about N230, 000, some people see this as not much considering the actual value of the phone, some may simply pay more for an iPhone simply because it’s an iPhone. Others would prefer to go for something a bit different with better quality, more functionality and staying power, at a similarly high but more acceptable price of 170,000 and above like a Huawei smartphone or a windows phone. Bonus Tip: The fact that everyone is buying it, does NOT mean it’s the best. This is becoming increasingly clear with some of the amazing new devices we see from Android phone companies. A1deparagon and Biddyman like this.